This time of year archaeology in Minnesota moves indoors. There are still a few projects where the clients need something done and are willing to pay a premium to have the archaeologists thaw the ground to do the testing, but for the most part, the field season is over. (Look for a future post on doing archaeology in the snow.) 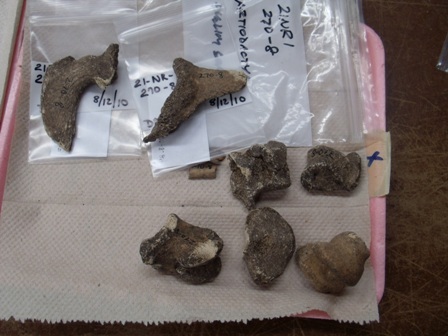 Most archaeologists have started the processing and analysis of artifacts recovered this past field season and writing up reports for completed projects. 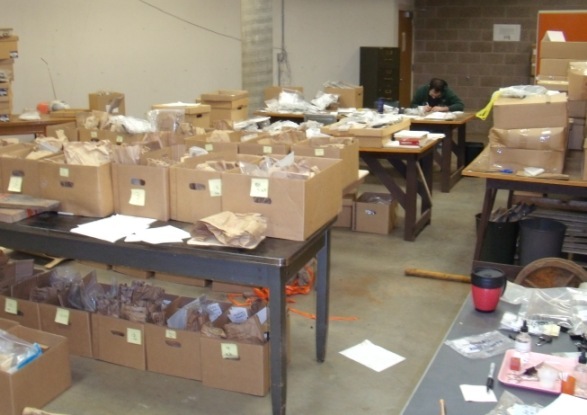 To get an idea of what happens at an archaeology lab check out Brian Hoffman’s blog. Brian teaches at Hamline University in St. Paul and his main focus is Arctic archaeology. But Brian and his students have also been doing some excavations on a historic site near the Hamline campus. His blog “Old Dirt – New Thoughts” details what has been happening there at the Hamline lab. You might also want to check out his entries about doing excavation at the Aniakchak Bay Village (SUT-027) on the Alaskan Peninsula.